You can transfer your domain to GoDaddy from another registrar. You'll need to prepare your domain name at your current registrar before completing the steps with GoDaddy. If your domain is already registered with GoDaddy, you can move your domain to another GoDaddy account. To prepare your domain name for transfer, you'll need to complete a few steps with your current registrar. Unlock the domain name with your current registrar. Get an authorization code (also known as an EPP code or transfer key) from your current registrar. Verify contact information on your domain name. The administrator's contact information may be used by your current registrar during the transfer process. 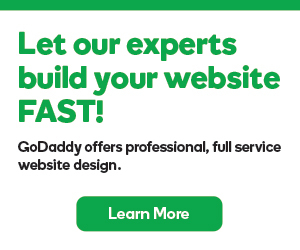 Once you've prepared your domain name, you can finish the process through GoDaddy. Search for the domain you want to transfer on the GoDaddy website. Confirm the domain is unlocked. You'll see a green check mark next to Unlock the domain. If this section is not green, you'll need to verify with your current registrar that your domain is unlocked. Note: You can refresh the unlock status by selecting the Refresh Status button. Enter your authorization code in the second field. If the authorization code entered is valid, you'll get a green checkmark. Select your domain privacy options, and click Continue. Choose your payment method, and click Complete Purchase to finish checkout. Note: Domain transfers can take 5 to 7 days to complete. Check the status of your domain name transfer. Transfer stuck or giving errors? Check out our troubleshooting tips. Why is my domain transfer disabled ?